The 33rd annual Oakville Prayer Breakfast was an opportunity to find out why more than 500 people wanted to come together before 7 a.m. on the first day of Advent. The annual breakfast is a time to bring together, and to pray for, community, business and government leaders in a spirit of fellowship and with a shared faith in God. This event is also for people wondering about the Christian faith who want to hear how it works for a leader in the community. The event certainly affirms the presence of God in our community. 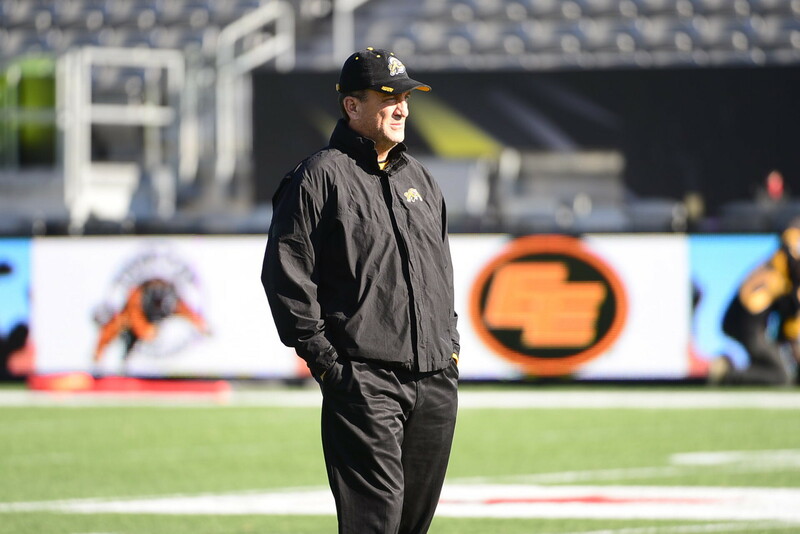 The morning’s speaker, Kent Austin, is currently the vice-president of Football Operations and head coach of the Hamilton Tiger Cats of the Canadian Football League (CFL). Kent has had a stellar career in football, leading various teams in Canada (Saskatchewan Roughriders, BC Lions, Toronto Argonauts and Winnipeg Blue Bombers) as well as teams in the U.S. to amazing victories. In 2000, Kent was elected to the University of Mississippi’s Sports Hall of Fame. In 2007, he was named the CFL Coach of the Year after he led the Saskatchewan Roughriders to a Grey Cup victory. He was again named a finalist for CFL Coach of the Year when the Ti-Cats became the first team in league history to reach the Grey Cup without a single CFL All-Star player. Over his long career, Kent has captured Grey Cup ]championships as a player, assistant coach and head coach. Kent graduated with a degree in business administration. He and his wife Shelley live in Oakville and together enjoy parenting their three children. Kent spoke about the questions he had about God growing up in a non-Christian home. He said as sophomore in the high school he attended on a football scholarship, he came to accept God and His son Jesus Christ. He shared amazing facts that pointed to the existence of God. Members in the audience were pleased to hear him and meet Shelley and their son Wes. Many were keen to speak to Kent and get his autograph before and after breakfast. Young people are always a focus of this event. Members from the Chamber Choir of King’s Christian Collegiate, Michelle Aylward, Jennifer Hutchings, Nicole Nagtegaal, Alannah Pedde and their accompanist Janessa McFarlane provided special music for the morning. Ainsley Svetek, a Grade 12 student from King’s Christian Collegiate, and Cam Pike, a Grade 12 student from Abbey Park High School, read the Scripture passages. Four high schools and one elementary school had delegations in attendance. The Oakville Prayer Breakfast Committee and its sponsors wish to thank everyone who came, and trusts this time together proved to be a meaningful event for all who attended. The energy in the room at the Oakville Conference Centre spread to everyone. People breaking bread with "The Sk. Football God Mr. Kent Austin", that's totally awesome! The most arrogant and disrespectful guy in the CFL. OC quits on him. DC runs at first opportunity after Kent held him hostage. The empire is falling!